One of my long time projects is a transverter system for 10GHz build up with separate units. 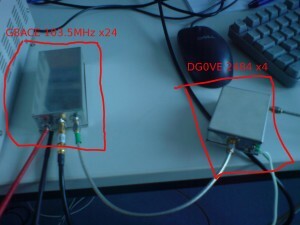 A while ago i purchased a multiplier unit for 2.5GHz input x4. Nowadays i purchased also a kit for a x24 multiplier from G8ACE. 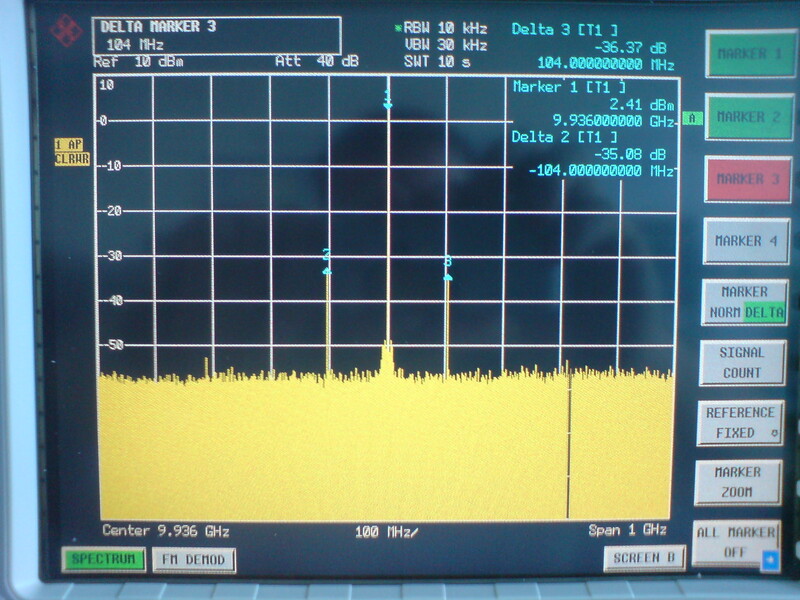 With the G8ACE multiplier i am able to get an output of around 13dBm at 2484MHz with 0dBm drive at 103.5MHz. 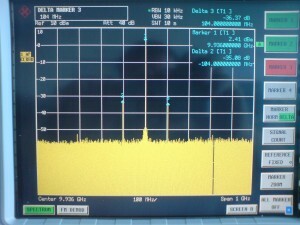 This signal is directly used to drive the DG0VE multiplier which gives around 23dBm at 9936MHz. I mounted an additional SAW filter that came from an wireless LAN application between the last multiplier stage and the stripline filter of the G8ACE multiplier. This reduces the spurious signals that are far away from the wanted signal. As you can see at the screenshot at 9936MHz there are still some unwanted spurious signals that seem to be caused by mixing effects.